Saving her best for last, Phillips wraps up her jocular Hot Zone trilogy with Sophie, middle sister of the Jordan clan and co-owner of the prestigious Manhattan-based sports management agency (and family business) the Hot Zone. 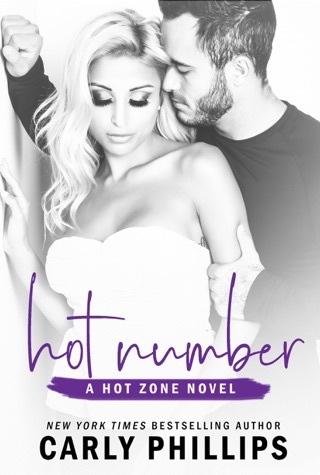 After a gossip columnist reveals him as gay, big-time sports agent Spencer Atkins, whose PR firm recently merged with the Hot Zone, goes MIA just three weeks before the pro football draft. With her entire family on leave (big sister Annabelle on maternity, little sister Michelle on her honeymoon and Uncle Yank Morgan after eloping with his assistant Lola), Sophie must deal with the crisis on her own. Enter star quarterback Riley Nash, Uncle Yank's client and Spencer's son from a failed marriage. Riley wants his biological father to keep their familial ties under wraps, and Sophie wants to ensure they don't lose any of Spencer's clients. Together, they track Spencer to Florida, while Sophie tries to suppress her attraction to "jock nightmare" Riley and things go haywire back at the agency giving a Hot Zone adversary the upper hand. Followers of this smart series will slip right into this final book, but newbies might want to check out the earlier two first. I found all the books in this series to have moments were they were boring and slow. This book, especially, was difficult to get through. The third sister gets her chance to shine in Carly Phillips third book The Hot Zone series! I liked the sweet interaction between these two even before things turned steamy, They are an unlikely pair, but so good together when they finally let their guard down! Publicist Sophie Jordan is at the top of her game when she has everything scheduled and running like clockwork, but in the current chaos that is erupting around her at The Hot Zone after the merger with Spencer Atkins’ company, she’s at her wits end. One sister is on out on maternity leave, the other is on her honeymoon … Uncle Yank is unavailable, and Spencer has all of a sudden vanished after a life-long secret has been exposed to the media! Star Quarterback Riley Nash has his own reasons for needing to get in touch with Spencer, and he’s determined to stick close to Sophie until he does so. He knows Sophie has a little crush on him, and he can’t deny he feels a special kind of attraction when he’s near her too. Will they be able to overcome the family dynamics flying all around them, surpass all the scandal, and come out on the other side as a couple?